TJ13 reported yesterday that moves were afoot within Lotus to replace Davide Valsecchi with Danish driver Marco Sorensen for 2014. The Italian was publically angry when the team overlooked him as a replacement for Kimi Raikonnen and recruited Hekki Kovalainen. The replacement Finn scored no points in the Austin and Interlagos races, and an opportunity was missed by the team to evaluate Valsecchi’s credentials as a future F1 driver. Clearly Valsecchi has realised if he was not going to get a drive when the team was a driver short, his chances of ever getting behind the wheel of a Lotus F1 car are close to zero. Today Davide tells Italy’s AutoSprint, “I want to go back to wearing overalls and a helmet”, though this has a face saving air to it when considering Davide has a meeting next week with Lotus. This will be for him to be handed his ‘dear John’ letter and a carriage clock for his year of dutiful service to the team. What’s next for Valsecchi is uncertain. 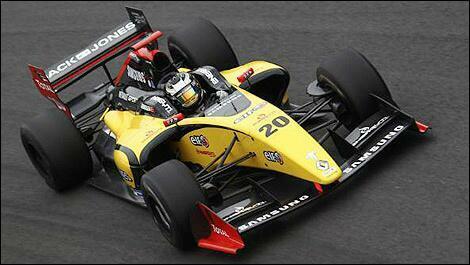 Having won the GP2 series he is barred from entering again in the future. Whether he has the experience to go racing in Indycar is doubtful, and he has no experience proper of sportscars. DTM is a possibility. If the GP2 series winner couldn’t get an F1 drive as Lotus 3rd driver, what hope has Marcos Sorensen who came just 7th in the Renault World Series 2013 and sixth the previous year. Each of the Formula 1 teams have distinctive characteristics. The Prancing Horse is established clearly as the King of the Hill, even though in jousts it is regularly – but honourably – bested by the serving Knights of the round table. McLaren believe they are from Royal stock and their corporate stiff upper lip presentation almost fools the world that in fact they are. The reality is that their bloodline originates with an exiled New Zealander whose sole objective was to create a revolution whose purpose was to humiliate the racing establishment. Since their acquisition by then Indian billionaire Vijay Mallya, Force India have in fact become a kind of dependable cart horse. They don’t really appear to innovate much, just try very hard to eek out the best from what they’ve got. The Silverstone team are managed day to day by dependable Bob, who studiously examines the competition in an attempt to decipher and copy what they’re doing. Sauber were formed in the 1970’s by the egg head boffin many believe to be the man who secretly fathered Adrian Newey – Peter Sauber. The team competed in hill climbs and the world prototype championships before finally entering F1 in 1993. Sauber have become known for their innovation – even though most of the time they have operated on a very limited budget. It’s kind of like F1 the way it used to be – ‘Monte Carlo or bust’ is the modus operandi on the car design. In 2012, the Sauber was the class of the midfield scoring just 16 points less than the Mercedes works team. At the Swiss team’s 2013 car launch, we all marvelled at the minimalistic sidepods and that the car was stand out different in looks from the rest of the field. Unfortunately, for the first part of the season the team didn’t appear to fully understand how to set up the car and they scored just 7 points up to the mid season break. In the last 9 races, the team’s fortunes were turned around and they racked up 50 points, falling short of rivals Force India by just 20 points. So who has made the right call? Adrian Sutil moving from Force India to Sauber, or Nico Hulkenberg moving from Sauber to Force India? Hulkenberg – thought to be a Ferrari driver of the future – might have been expected to have remained with the Ferrari powered Sauber, However concerns over their financial status were a deciding factor on him joining Force India and avoiding Lotus too. Adrian Sutil now claims he was talking to Sauber about a move to them as far back as winter testing in 2012 – of course his bar brawling antics put pay to that for a while. The German driver believes the relaxation on the in season testing rules will in fact benefit the boffins at Sauber particularly well. “During the season we need to test to analyse everything that is going on in the race”. Whilst Lotus’ Nick Chester is holding to the position that attending the Jerez test would compromise the development of the car, Sutil disagrees. “We have no idea how the car will perform yet”, adding, “we need to be at every available test – this will be very important this year”. Clearly Grosjean and Maldonado will be several hundred kilometres behind on this learning curve when they arrive in Bahrain. In a year of such change, assuming Sauber resolve their financial woes – and as a Ferrari partner they most surely will – they could be the dark horse of the season. This being the case… Mr. Sutil’s call will look masterful. As is the way in continental Europe, the ‘prosecutors’ have been investigating Michael Schumacher’s accident in Meribel. Their primary concern will be that no one has acted with negligence which as a result is the direct cause of Michael’s fall. Die Welt is reporting that the operators of the Meribel resort have retained the services of a specialist industry lawyer. Meanwhile legal expert Edouard Bourgin claims that Meribel are indeed culpable. Speaking to French publication Figaro he claims, “The [safety] standard has not been met, as the signs and markings were inadequate and non-compliant. Quincy revealed that the video camera from Schumacher’s helmet had been invaluable in establishing the events surrounding his accident. Quincy states, “He followed the red piste and he went off piste. He is evidently an extremely good skier, but one of his skis hit a rock that was sticking out of the piste, and it caused him to fall and he hit his head on a rock. The rock that he hit is eight metres from the piste. His position after he fell was nine metres from the piste. Stories had been circulated of Michael stopping to help someone prior to his fall, but the video which runs for 2 minutes does not support this. Quincy stated that the investigators had not received any video allegedly taken by a bystander which showed the incident and the immediate aftermath. Other stories have rumoured dodgy equipment and ski bindings, though Quincy denies this claiming that Michael’s equipment was in “perfect condition” prior to contact with the rock. Further, Quincy stated that the speed at which Schumacher was travelling was not considered to be an important factor. The prosecutor went to lengths to stress that the markings delimitating the edge of the piste were a significant part of the investigation, but that it was premature to suggest that the resort was to blame. 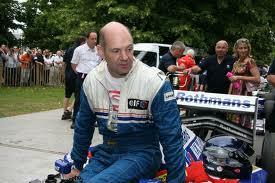 Quincy refused to comment on whether Schumacher had been careless when he went off-piste. When asked about the possibility of legal proceedings, Quincy was vague. His reply could be interpreted that proceedings are unlikely to commence in the immediate future – or that they are indefinitely unlikely. From 2014, drivers will be able to choose the number they wish to represent them and be displayed on their car and in other places for promotional reasons. The number 1 will be reserved for the previous year’s world champion – should they choose to use it – though the whole idea is for drivers to become associated with a number for marketing purposes. Why then ditch their unique number for the number 1? In the event of a driver picking the same number as another, the one who finished higher in the 2013 WDC standings will have preference. Kevin Magnussen is the first to reveal his number. Having just rejoined twitter today, he tweeted, “Here’s some news: my driver number will be 20 this year, which I won the @WSR_Live 3.5 title with last year”. The once F1 Kings of the twittersphere whose wit and repartee entertained their followers, whose risqué and self deprecating posts brought them plaudits have finally returned from a self imposed exile over the festive period. Since the 21st December, Lotus have been silent in the social media, except to announce they will not be taking part in the Jerez winter test. The FIA Formula E Championship has today announced its official Formula E Drivers’ Club. It appears that this is a hastily concocted idea resulting from the ruling which would bar any of the series test drivers from competing once the show finally takes to its global trot. TJ13 recently reported when di Grassi discovered the rule banning test drivers from competing, he expressed his desire to immediately be de-listed from the series list of development drivers. The statement about this new club from Formula E says, “Sebastien Buemi, Marco Andretti, Karun Chandhok, Vitantonio Liuzzi, Adrien Tambay, Ma Qing Hua, Lucas di Grassi and Takuma Sato have all committed to the new scheme, giving their official endorsement to the championship together with their willingness to race in the future”. More interestingly, “The new scheme will also give them the opportunity to experience track time in new Spark-Renault SRT_01E Formula E car, designed by Spark Racing Technologies together with a consortium of the leading names in motorsport including Dallara, McLaren, Williams, Renault and Michelin”. In effect drivers who register as part of the club will get to try the cars out prior to the formal commencement of proceedings in Beijing on September 13th. Alejandro Agag, CEO of series promoters Formula E Holdings explains, “We cannot confirm any drivers just yet as it will be down to the individual teams to select who fills their seats. However, we hope by offering them a ‘pool’ of top international drivers to choose from – all of whom support the new series – we can deliver on this promise of providing close, entertaining racing in city-centres around the world”. A further 10 drivers will be revealed over the coming weeks via the championship’s official website. It appears there is a delicate PR game afoot. Adrian Newey has made it clear he would like to design a race winning yacht and the premier prototype design of yachts are found in the America’s Cup. Ben Ainslee having masterminded the most remarkable comeback in the competition for ye ‘Auld Mug’ for the Oracle team USA is now determined to raise the funds and produce a British entry for the next time around. Of course raising funds requires investors to believe in the project and one way to instil faith in the money men is by recruiting the most successful technical designer in F1 history – Adrian Newey. Of course the project is at least 3 years away as the date for the next competition is set by the previous winners and Newey is committed to Red Bull Racing until 2017. However, were Ade to infer he may leave the F1 team at the end of his contract when he will be 58 years old then the brain drip of talent that has recently left Milton Keynes could become a veritable falls of Niagra. Of course no boat has yet been designed, though this process would need to begin well before 2017. Could Newey design an America’s Cup winning yacht and still fulfil his role for Red Bull? This appears unlikely, though for now the association with the British yacht building project and Newey just won’t go away. Mmm… really? If you really meant that you could stop talking about him then Sir Ben? Caterham have joined Mercedes in a low cost low key car launch event – on the morning of the first test in Jerez. This is indeed good news from Liefield though they don’t appear to have any drivers to drive it yet. Genii and Lotus have begun a selective briefing process which claims that for the medium term, the team is now safe and secure. There are no details such as we were hearing from Mansoor Ijaz about % equity stakes and $xm cash, though what has been revealed is that the Genii investors have been forced to face the inevitable – the timescale for the return on their investment has been blown out of the water. Mmm. That just mean the loans are frozen for now – not that any more cash is on offer. What is less believable is that part of the briefing suggest the Quantum Motorsports deal may not yet be dead. Apparently the resignation of CEO Patrick Louis should not be viewed negatively, because his job to restructure the finances is now complete and he sails into the sunset – job well done. Call me an old sceptic, but to get to Crashtor’s $m’s the team have to persuade PDVSA they have a properly financed plan for the year. Now in Venture Capital land almost anything is plausible but is this enough to persuade the hardened owners of the oil dollars that all is really now well? Gut instinct says that both the VJM07 & C33 will be decent cars, their outright championship positions at the end of the season will be determined by who decides to play the boldest strategy cards. Force India also have the upper hand in terms of the drivers at their disposal. Both of these teams however are on the cusp of monetary issues and so their seasons will also be driven financially in terms of resources expended. Sauber have struggled to invest in some of the key areas necessary to succeed over the last few years since BMW left with the piggy bank. Force India are in a similar position, needing to make investment to make a progressional leap. Both teams have been around long enough (in other guises) to understand that the switch back to in-season testing and the reduction of CFD/Tunnel time will be hugely influential on the outcome of the season. Lets hope that they have made the necessary adjustments/investments to allow them to make the most of real world testing once more. Glad that his video helmet has shown no ‘foul play’; he is an adult who has had a terribly unfortunate accident…. Did wonder who & why anyone could be prosecuted??? Sometimes there is just no-one to blame…. Off piste, on piste… Omg can we all just have a drink, get piste and start the Mark Webber love again? Maldonado and Grosjean on the backfoot sounds terrible. If I were principal from another team, I would consider to give them some time in my own car. I agree it’s unlikely to see Sorensen in the car.. but he must be hoping Pastor falls foul of the new 12 and done penalty points rule… but they could still put anyone in the car.. In what way was Bruce McLaren “exiled”…? What was the “revolution” he wanted to create…? …. writers poetic license my friend 🙂 He was voluntarily exiled from NZ because they only race radio control cars there…. I suspect that tag is all Lotus can afford to put together at the moment, though i’m not sure it’d pass a crash test. 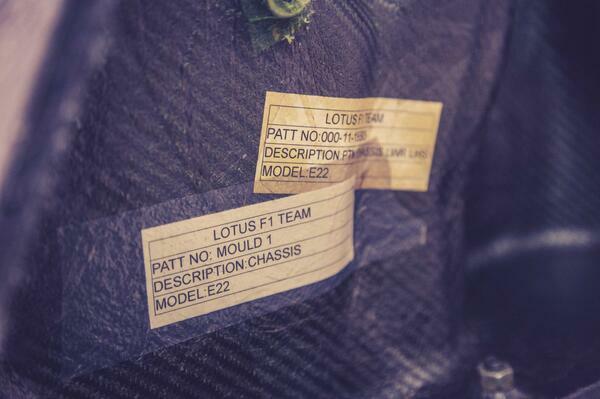 On a different not, as Lotus have Romain and Pastor as their drivers, do they have to pass more stringent crash tests. Came here that’s probably all they can afford till Genii decide whether or not to throw more money into the F1 fireplace, LOL. glad to see the investment work out so well for them. Yeah, well that’s just the MOLD for the part, not even the part. Good grief. bloody love it, that’s comment of the month for me. Sir Ben Ainslie wants F1’s Adrian Newey to help America’s Cup bid. The driver list is interesting.. Buemi can drive as RB have Felix da Costa now to do anything while he is away. They can then sponsor his car and get exposure in Formula E if it takes off. Surprised to see Ma back, thought he’d ran out of backing, but I guess penetration in China is important to the series. Hence Marco there for the USA. Who can we see winning out of that lot? I’m thinking Sato, Liuzzi and di Grassi could be at the front if the torque is as 2014 F1 like as we are thinking it will be (or is that more 2004). Kevin already having his number confirmed, and being at the back of the list, indicates that all numbers are now sorted? *with Buemi and Andretti just behind. I’m having real trouble tho’ believing that the latest seasonal winner from any open wheel Real Racing Formula shouting or even twittering to the world that they’re off to Formula E, Whooppeeeee. A new home for F1 Rejects is all. Little chance either of once there getting a shot at a drive in a real racing series on a real racing circuit. Yeah. And perhaps that same someone could remind Tony Caterham.